Accurate and comprehensive inspections followed by detailed reporting ensure you are able to identify key maintenance issues affecting your infrastructure or equipment. Our proactive approach ensures we contact clients prior to annual re-certifications. We carry out inspection and certification of systems installed by any company. Call us now. Sometimes you need an engineer who can reach the places other companies aren’t qualified to reach. As well as being trained height access specialists, Avalon has specialist engineers on staff able to certify buildings according to current safety legislation. We issue certification that’s compliant with New Zealand’s strict building codes. Call AVALON for user-friendly, low maintenance and cost-effective high quality systems that are designed exclusively for your site. We also provide and install proprietary imported systems. Avalon is also a Latchways, MSA and SOLL installer, giving you yet more options.  We get where we need to be and are fully trained and equipped for inspections, maintenance and cleaning, using gas detection and extraction and forced ventilation equipment. Naturally, we provide comprehensive and rigorous hazard management. Our track record includes work on and in power generators, dairy factories and tourism locations and we are also employed by consulting engineers. Naturally, one of our main concerns is preventing falls. All our systems fully comply with health and safety regulations, ensuring our solutions are covered by your insurance. On site and after project completion, safety is always paramount. Our fall arrest systems prevent accidents and provide a safe means of accessing heights. Avalon provides a full range of fall protection equipment and safety systems, including guard rails, lifelines, mobile man anchors and anchorage systems. As well as installing systems to protect our staff while we work, we’re able to provide lasting protection for areas where you, your staff or your customers need to be. We inspect properties and land to provide detailed reports on the safety of your site and ways we think safety could be improved. If your current structure isn’t up to scratch, we’ll be able to provide you with advice, an estimate, and staff to help you assess and repair any damage to your building. After working in the industrial rope access and height access industry for over twenty years, we’ve got a sixth sense for making things safe. Give us a call. We’re able to guarantee a rapid response wherever you are in New Zealand to make sure that your site gets up to speed in the quickest possible time.